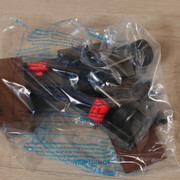 Hi all, it was that time of the year again where I had to trade in my air-miles. 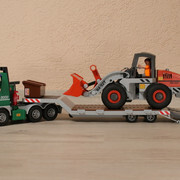 This time this City Action/Construction set from 2012 took my attention, since I had the original 3935 White low load truck from the 2000's. 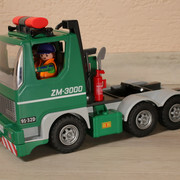 I was not aware Playmobil was still producing this style of trucks since the red collored RC low load truck. 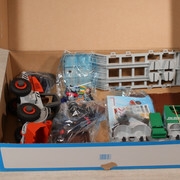 Anyhow ToysR'us put these stock sets on sale for 40Euro, trading in some of my air-miles made it a kind of a steal. 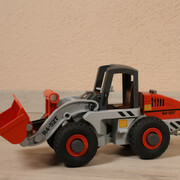 The box itself seems equal big as the original 3935 but this time contains a wheel loader as well. 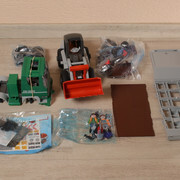 Only difference I remember the 3935 having separate compartments to store the vehicle parts. 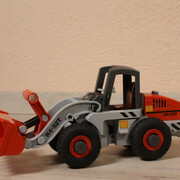 The wheel loader itself is kinda prebuilt already, as for the truck, that one requires some additional work. 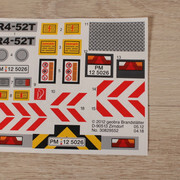 This set does contain a lot of sticker work to do. 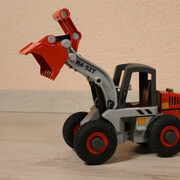 The thing that is really missing in this set are the red elastics that came with the earlier low load trucks. 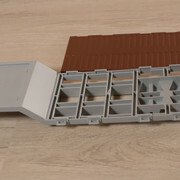 I would have rather seen Playmobil come up with a little more tools to store in the compartments. 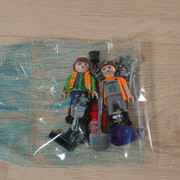 The 2 Clickies are typical styled for the 2000's era. 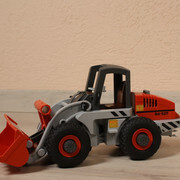 I remember the headlights of my old wheel loader breaking off after a while. 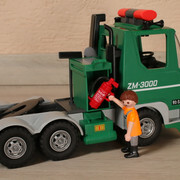 A shame Playmobil used the same types again. 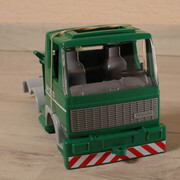 Al way around it is very obvious that this truck is the exact 90's model used for several other sets. 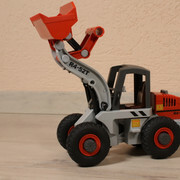 The signal light on top is equal in size of the old electric lights and can be removed to create an panoramic roof. 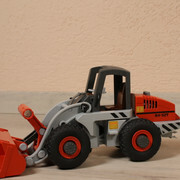 The wheel loader can hold its shovel on several positions like the old type did as well which is a PLUS. 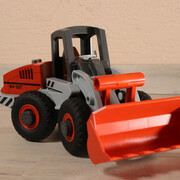 Since we have seen otherwise with the red excavator. 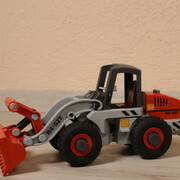 Anyhow I am thankful for ToysR'us Germany for having some Construction sets still in stock, as the Construction theme 2019 is not really to write home about. Thanks for the review and good use of your air-miles. 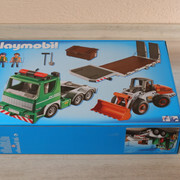 That's a nice set which very much draws on Playmobil at its best, although why it would have been nice if it had the non-flashing orange light with the clear plastic lenses. 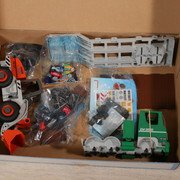 Better still, the working one. 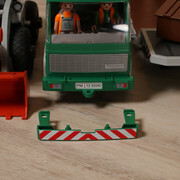 One of the things which lifted Playmobil above the ordinary was the attention to detail, such as the securing bands with the low loader. 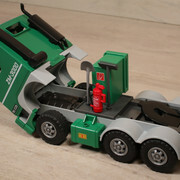 Sadly, quite a few of the ranges of Plamobil today are nothing to write home about.